IRS reminds taxpayers of important June deadlines for FATCA and FBAR filings. 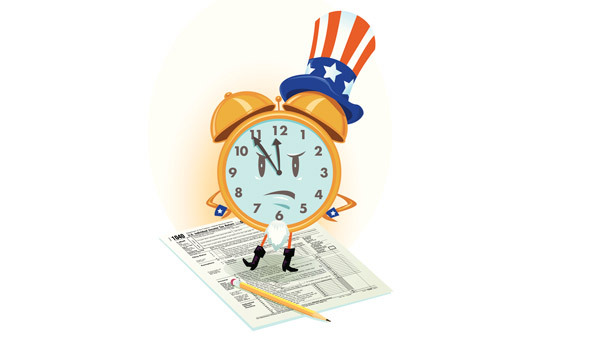 IRS reminds taxpayers with overseas accounts of some important dates. The Internal Revenue Service on Wednesday reminded taxpayers with offshore accounts of two important June deadlines related to Foreign Bank and Financial Accounts filings and the Foreign Account Tax Compliance Act. All taxpayers with a FBAR filing requirement must report their foreign assets by June 30, with those taxpayers living abroad who are required to file the FATCA-related Form 8938 must do so with their tax returns by June 15. The IRS notes that FBAR filings have “risen dramatically” in recent years as FATCA phases in and other international compliance efforts have raised awareness among taxpayers with offshore assets. The IRS urged taxpayers with foreign assets, “even relatively small amounts,” to check if they have a filing requirement. All taxpayers with a FBAR filing requirement must report their foreign assets by June 30, with those taxpayers who are required to file the FATCA-related Form 8938 must do so with their annual tax return by the due date (including extensions) of that return. For taxpayers within the United States this would be April 15 and Oct. 15. For taxpayers living outside of the U.S., this would be June 15 and Oct. 15. As the IRS explains, FBAR refers to Form 114, Report of Foreign Bank and Financial Accounts, a separate filing from a tax return that must be filed with the Treasury Department’s Financial Crimes Enforcement Network. The form must be filed electronically and is only available online through the BSA E-Filing System website. The IRS states that taxpayers with an interest in, or signature or other authority over, foreign financial accounts whose aggregate value exceeded $10,000 at any time during 2014 generally must file. Citing FinCEN stats, the IRS says that FBAR filings have surged in recent years, exceeding 1 million for the first time in 2014 and rising nine of the last 10 years from about 280,000 filings in 2005. FATCA addresses tax non-compliance by U.S. taxpayers with foreign accounts by focusing on reporting by U.S. taxpayers and foreign financial institutions. The IRS states that in general, federal law requires U.S. citizens and resident aliens to report any worldwide income, including income from foreign trusts and foreign bank and securities accounts. In April, the IRS’ taxpayer advocate urged the tax service to simplify FATCA requirements for Americans living overseas.